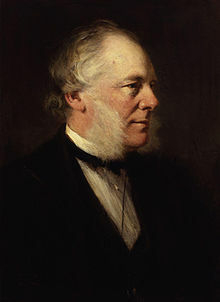 Samuel Smiles (23 December 1812 – 16 April 1904) was a Scottish author and reformer. "Heaven helps those who help themselves" is a well tired maxim, embodying in a small compass the results of a vast human experience. Lives of the Engineers (1862). Ch. XI : Self-Culture — Facilities and Difficulties. The crown and glory of life is Character. It is the noblest possession of a man, constituting a rank in itself, and an estate in the general goodwill; dignifying every station, and exalting every position in society. It exercises a greater power than wealth, and secures all the honour without the jealousies of fame. It carries with it an influence which always tells; for it is the result of proved honour, rectitude, and consistency — qualities which, perhaps more than any other, command the general confidence and respect of mankind. Saying published anonymously in The Dayspring, Vol. 10 (1881) by the Unitarian Sunday-School Society, and quoted in Life and Labor (1887) by Smiles; this is most often attributed to George Dana Boardman, at least as early as 1884, but also sometimes attributed to William Makepeace Thackeray as early as 1891, probably because in in Life and Labor Smiles adds a quote by Thackeray right after this one, to Charles Reade in 1903, and to William James as early as 1906, because it appears in his Principles of Psychology (1890). Self-Help is one of the most delightful and invigorating books it has been my happy fortune to meet with. It has done me nothing but good, nor can I conceive how it should do harm to any. … The object of the book briefly is, to reinculcate these old-fashioned but wholesome lessons — which perhaps cannot be too often urged — that youth must work in order to enjoy; that nothing creditable can be accomplished without application and diligence; that the student must not be daunted by difficulties, but conquer them by patience and perseverance ; and that, after all, he must seek elevation of character, without which capacity is worthless and worldly success is naught. Robert Blatchford, in A Book about Books (1903). Utilitarianism had found [in Smiles’ Self-Help] its portrait gallery of heroes, inscribed with a vigorous exhortation to all men to strive in their image; this philistine romanticism established the bourgeois hero-prototype—the penniless office-boy who works his way to economic fortune and this wins his way into the mercantile plutocracy. Every now and then they were awarded prizes — Self-Help by Smiles, and other books suitable for perusal by persons suffering from almost complete obliteration of the mental faculties. Robert Tressell, in The Ragged Trousered Philanthropists (Penguin, 2004), pp. 572-73. It's a brutal book; it ought to be burnt by the common hangman. Smiles was the arch-Philistine, and his book the apotheosis of respectability, gigmanity, and selfish grab. An unnamed English labor leader quoted by Robert Blatchford, in A Book about Books (1903); also quoted in The Intellectual Life of the British Working Classes (2002) by Jonathan Rose, p. 68. This page was last edited on 14 December 2016, at 21:07.